Most of the smartwatches we see are completely unrealistic, usually iWatches and usually packed with either futuristic specs or features that are too much on the low end side. Today we get a glimpse of hope from Meizu, a company from China that posted online a concept of its MWatch smartwatch. Meizu became famous many years ago after replicating the iPhone design through a handset or two, but then they matured into a company that makes solid Android phones. Now they’re trying their luck with a smartwatch, one that’s supposed to be flexible and looks incredibly cool and modern. Also, the UI looks ten times better than the one of the Galaxy Gear from Samsung. 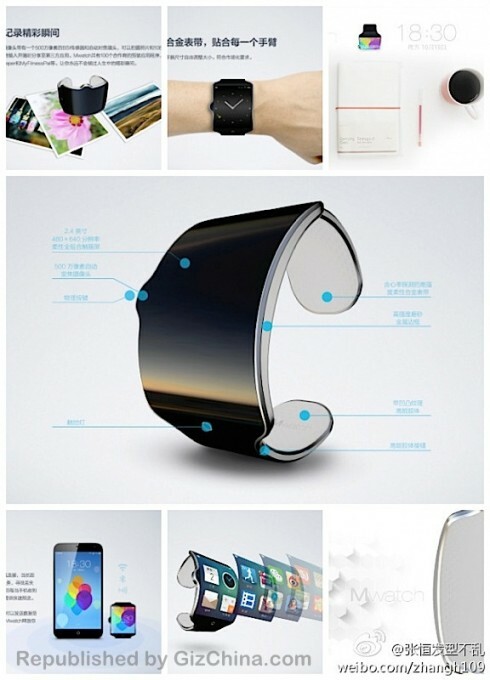 The Meizu MWatch concept is more of a bracelet than a timepiece and it comes with a fully flexible 2.4 inch 480 x 640 pixel display, a metal bracelet and a 5 megapixel camera with autofocus. 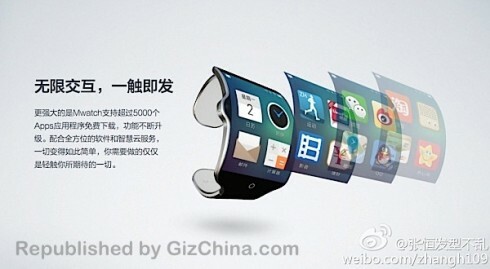 It has NFC, Bluetooth, WiFi and support for over 5000 applications. 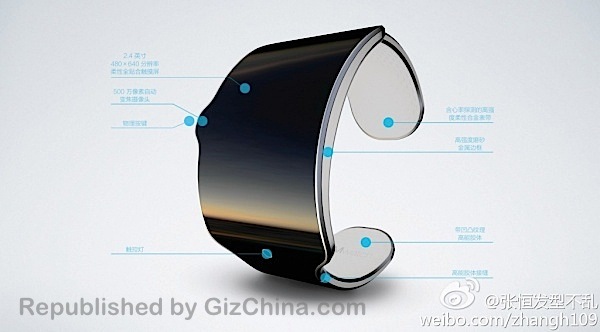 I find it hard to believe that an iWatch would impress you more than this model… Now let’s see this baby launched already! HTC M8 Mockup is Extremely Convincing Samsung Galaxy S5 Product Design by Jinesh Shah is Nexus-Ish; Bonus Fresh TouchWiz!